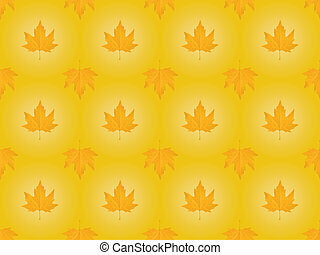 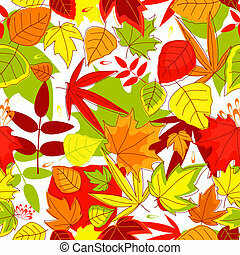 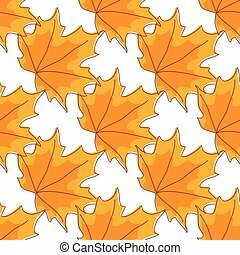 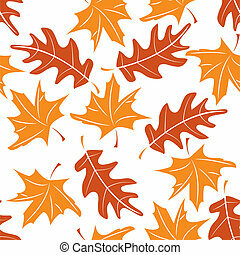 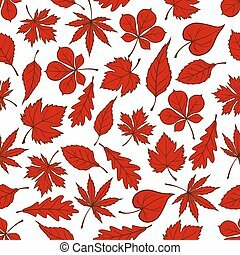 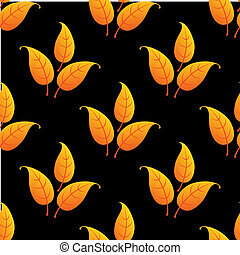 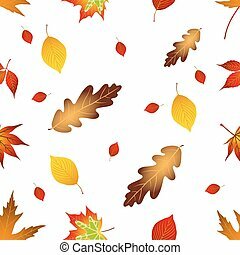 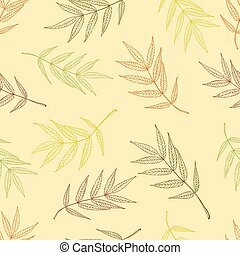 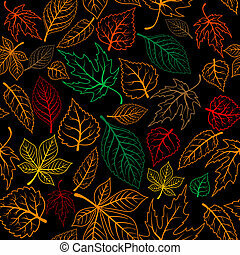 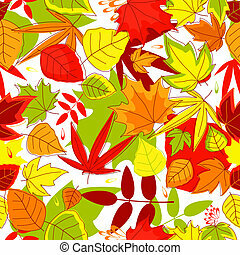 Autumnal leaves seamless pattern. 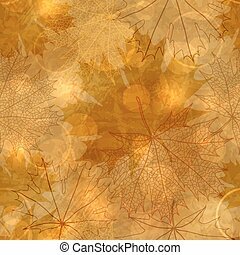 Autumnal stylized leaves seamless background pattern in the colors of autumn with a busy design in square format. 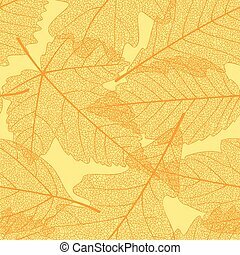 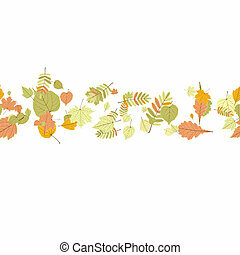 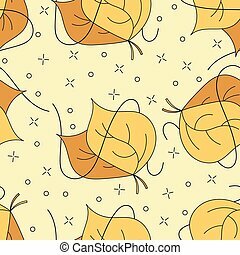 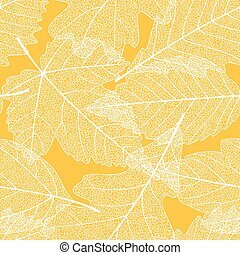 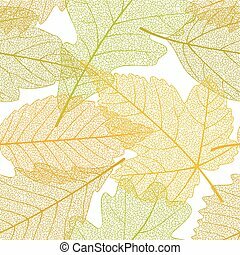 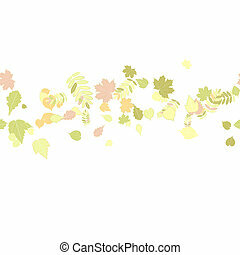 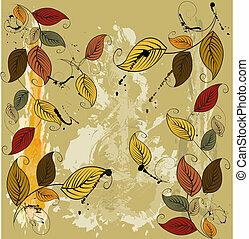 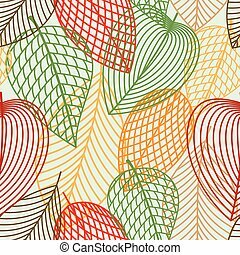 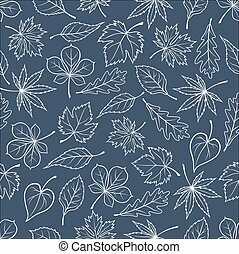 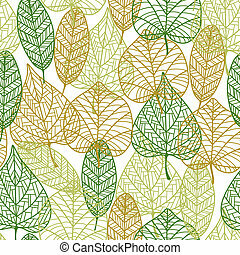 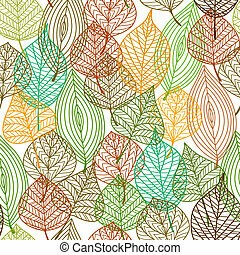 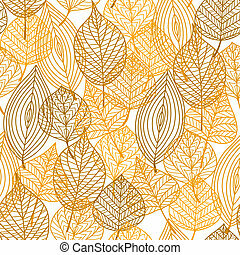 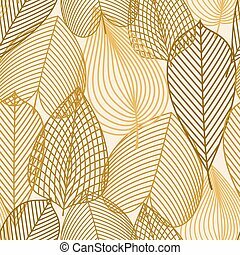 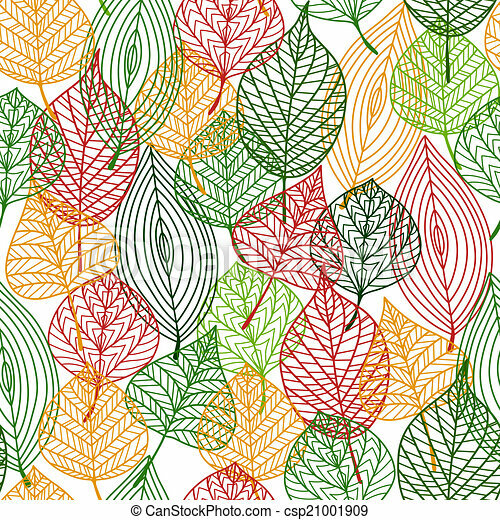 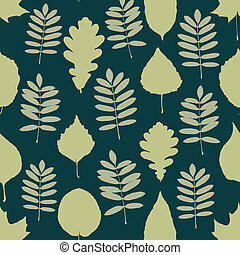 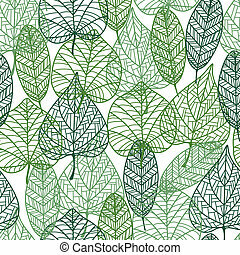 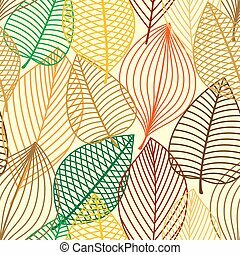 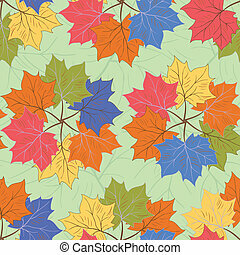 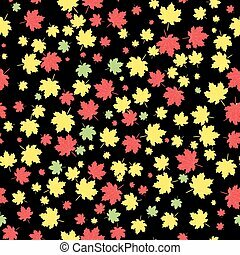 Seamless pattern - Autumnal leaves vector illustration.